As one of Panama City’s most vibrant locations, Casco Viejo brings together centuries of culture and history. Crumbling colonial buildings rub shoulders with cathedrals, museums and newer renovations at the World Heritage site. 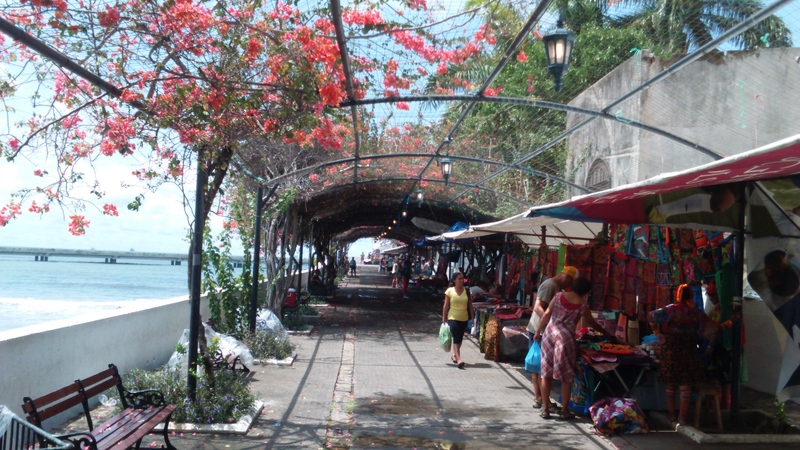 Meanwhile, shoppers are well-catered for at the district’s colourful markets as they enjoy the cool breeze blowing in from the Gulf of Panama. Tagged Backpacking, Casco Viejo, Central America, Featured photograph, Market, Panama, Panama City, Travel. Bookmark the permalink.